WISTER–Graveside funeral services for Axel Wade McCage, infant son of Russell and Amber (Steelman) McCage, are Tuesday at 2 p.m. at the Reichert Cemetery. He passed away Thursday, Nov. 15, 2018 in Poteau. TALIHINA—Funeral services for Joyce Lee Jones, 72, are Friday at 2 p.m. at Greenhill Baptist Church with Raymond Johnson and Melvin Palmer officiating. Interment is at Greenhill Cemetery, under the direction of Burkhart Funeral Home. She was born in Talihina May 25, 1946 to Rosa Frazier and passed away Nov. 12, 2018. POTEAU—Graveside services for Ivan Forrest, 90, of Poteau are Thursday at 1 p.m. at the Fairview Cemetery in Panama. 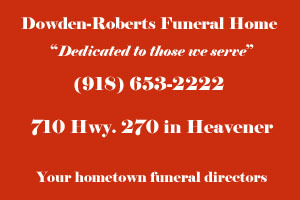 Services are under the direction of Evans & Miller Funeral Home of Poteau. HOMERVILLE, Ga.—William Paul King, 81, of Homerville passed away Monday, Nov. 12, 2018 at his residence following a lengthy illness. 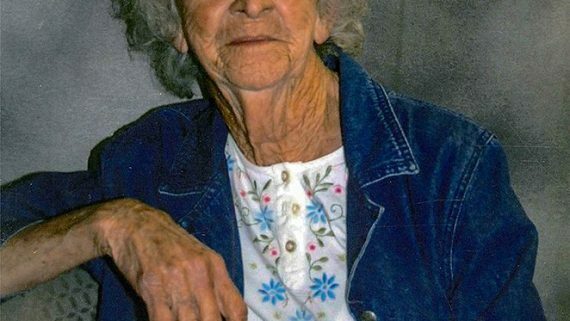 HODGEN–Elizabeth Louise Goodier, 83, of Hodgen was born May 31, 1935 in Hontubby to Jackson and Augusta Ann (Janway) McCamish and passed away Nov. 12, 2018 in Heavener. 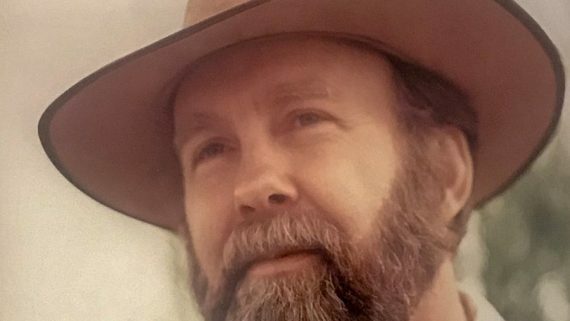 Bill Carl King, 83, of Heavener was born March 7, 1935 in Blackfork, Arkansas to Frank P. and Lou Bell (Parker) King and passed away Nov. 9, in Heavener surrounded by friends and family. 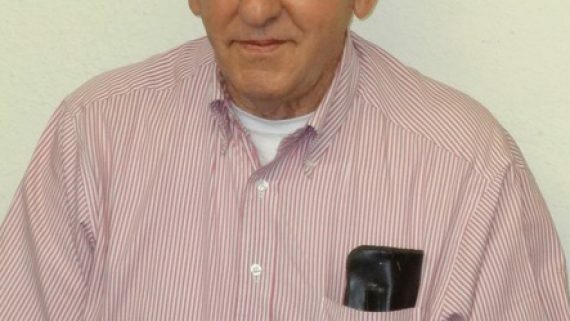 Death notice for Joseph Allen Sabatucci Sr.
POTEAU—Funeral services for Joseph Allen Sabatucci Sr., 76, of Poteau are Tuesday at 2 p.m. at the First United Methodist Church in Poteau with Jim Perkins and Jim Cook officiating. 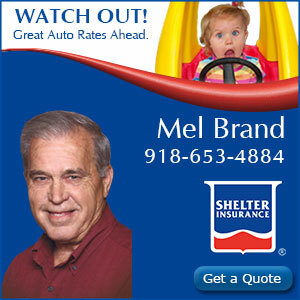 PURCELL–Wendell Little, 84, of Purcell (formerly of Heavener) passed away Wednesday, Nov. 7, 2018 and was born March 12, 1934 in Mansfield, Arkansas, the baby boy and first of 12 children born to Ivy and Lucy (Livingston) Little. 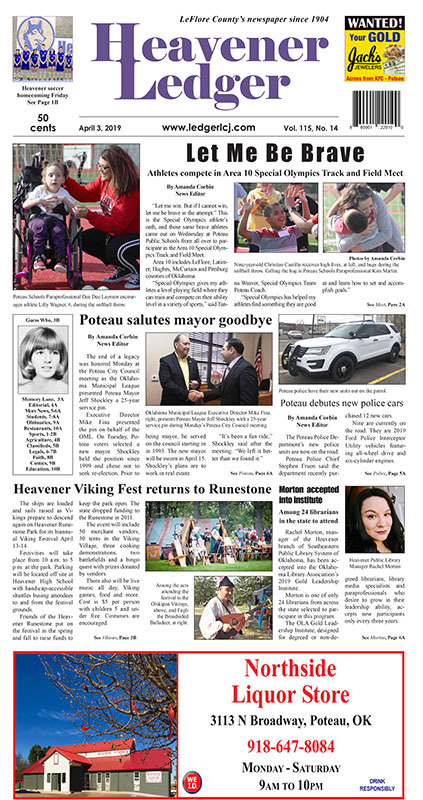 POTEAU—A celebration of life service for Von Smith, 53, of Poteau is Saturday at 2 p.m. at the Courage to Change Church in Fort Smith, Arkansas.